I began thinking about bringing the work of these artists together last year, intrigued by the ways in which readily available digital tools were starting to open up my own thinking, and floored by the ways in which others I admired had extended and developed their own practices similarly. The works presented here make clear active and ongoing dialogs within the practices of the individual artists. Each artist explores the ways in which the lightness and ephemerality of the digital workspace finds its place within the arcs of investigations that had previously been very materially-intensive and tactile. The dynamics that emerge reveal both noticeable distinctions between the digital and analog minds at work, but also surprising congruencies that challenge any idea of a bright line between these ways of making. 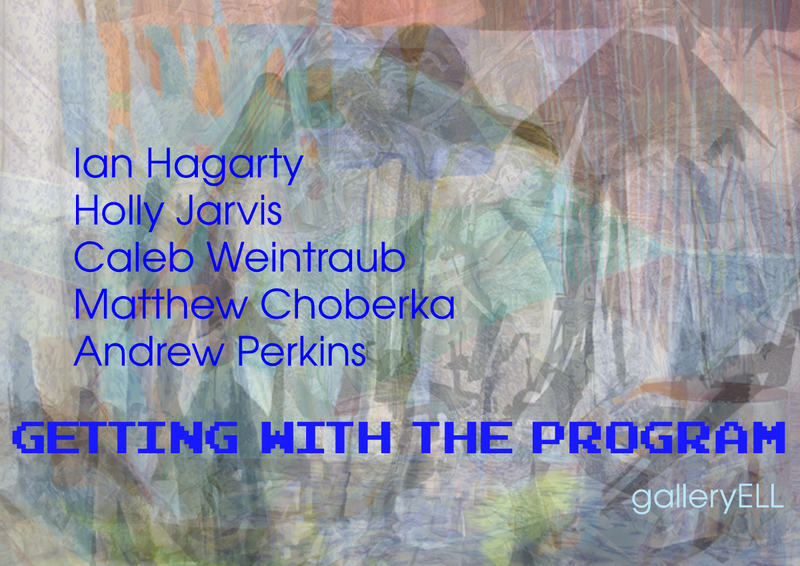 For each of these artists, getting with the program has involved taking up new tools, and these tools inevitably exert their own power, offer their own freedoms (painting not yet having developed the option to “undo”). But the resulting works, while unimaginable without such tools, remain very much reflections of the eyes, hands, and minds of these five artists.